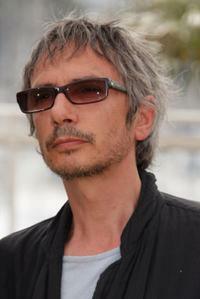 Leos Carax at the photocall of "Tokyo" during the Cannes International Film Festival. 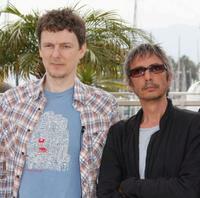 Michel Gondry, Leos Carax and Bong Joon Ho at the photocall of "Tokyo" during the Cannes International Film Festival. Michel Gondry and Leos Carax at the photocall of "Tokyo" during the Cannes International Film Festival. Bong Joon Ho, Leos Carax and Denis Lavant at the photocall of "Tokyo" during the 61st Cannes Film Festival. Leos Carax and Denis Lavant at the photocall of "Tokyo" during the 61st Cannes Film Festival. 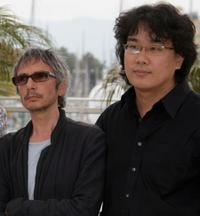 Leos Carax and Bong Joon Ho at the photocall of "Tokyo" during the Cannes International Film Festival. Director Leos Carax on the set of "Tokyo!"